I am in my first season playing for Hillingdon TTC. I started playing for Hillingdon as they are situated just five minutes drive from home. The few seasons I have been playing for Ashford in the Staines League. I have been playing recreationally on and off for many years, starting back in the 1970’s for a youth club in the Wembley & Harrow League. Then went on to play in a few leagues that are defunct, including the Uxbridge & West Middlesex. I joined an airline and have enjoyed playing in a few tournaments around Europe. Weekends away in Brussels, Dublin, Copenhagen, Frankfurt, Hamburg, Helsinki, Lisbon, Tel Aviv, Vienna and Warsaw are never the same without the table tennis and meeting old friends. 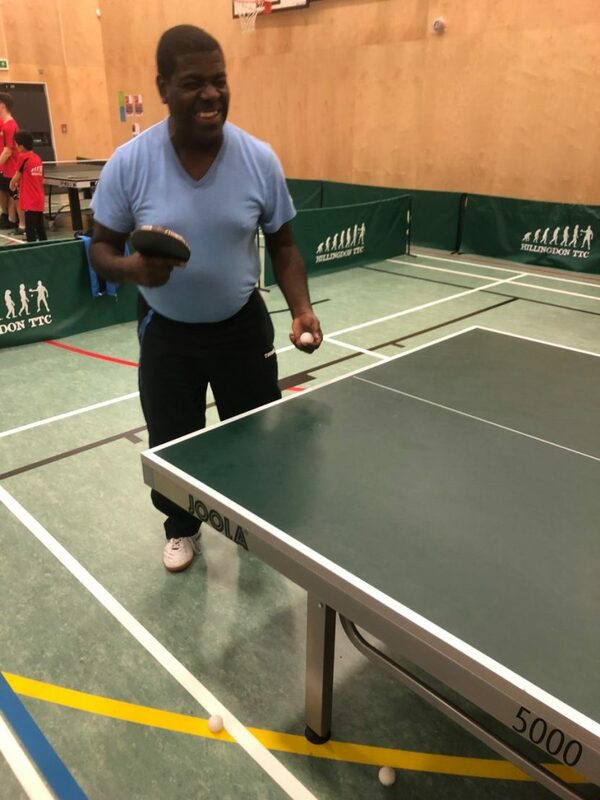 I finally joined the Veterans English Table Tennis Society (VETTS) in 2004 and played in their tournaments around the country, making more table tennis acquaintances. By joining the VETTS it has allowed me to visit exotic places whilst playing table tennis. The plans are already in place to visit Budapest next summer followed by Bordeaux and Cardiff. What a wonderful club, run superbly by Steve. I feel like a kid in a sweet shop.Lots of friendly people, playing at all levels & always someone known or new to play against , with a superbly run league set up.A very progressive & successful Club, about to move in to new & more modern premises.Long may it continue. i've been once and its a great club with jam packed fun and players willing to assist you in your table tennis life cant wait to get a membership . The people are friendly people and there's lots of tables. There's also a good mix of people at different levels of play which makes it easy to find partners. Real, honest club, run informally yet efficiently, filling the big sports hall with 15-20 tables with players from young to old. Can play matches and leagues or practice or lark about. Long may they continue. Copyright © 2016 - 2018 HTTC. All Rights Reserved.